Liam Fox says that staying in a permanent customs arrangement with the EU would “not be delivering Brexit”. The international trade secretary said he did not believe the UK could have an independent trade policy if it stayed in a customs union. The PM is meeting cabinet members in No 10 today to discuss “next steps” after her Brexit plan was overwhelmingly defeated in a vote earlier this week. Some opposition parties have been making the case for a customs union. Theresa May held talks with the leaders of smaller parties, including the SNP and the Lib Dems, about a way forward after she won a confidence vote by a narrow margin in the Commons on Wednesday. She also spoke to German Chancellor Angela Merkel and Dutch Prime Minister Mark Rutte on the telephone on Thursday night, and will be speaking to more EU leaders over the weekend. Labour leader Jeremy Corbyn, who wants the UK to be in a permanent customs union, has so far refused to take part in talks with the prime minister until she rules out the prospect of leaving the EU without a deal. As many as 20 Tory ministers have also said they would quit the government unless the prime minister allows them to try to stop a no deal Brexit, according to the Telegraph. Mrs May says ruling out no deal is impossible as it was not within the government’s power. The UK is due to leave the EU on 29 March, under the Article 50 process and the UK’s EU Withdrawal Act, with or without a deal – unless the UK chooses to revoke Article 50 and continues as a member of the EU. Media captionWhat did voters think of this week’s political drama unfolding? 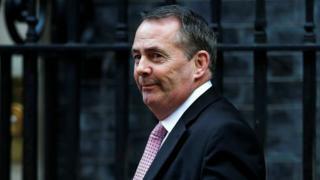 Mr Fox, who backed Leave during the referendum campaign, said that people expected the government to honour its commitment to leave the customs union and single market, as set out in last year’s Conservative Party manifesto. By staying in a customs union, the UK would “have to apply European trade law without having a say in how it’s made” and apply a common external tariff, which would “restrict our ability to make agreements outside the European Union’s ability to do so,” he added. Mr Fox also backed Mrs May’s conclusion that the government could not rule out a no-deal Brexit. Meanwhile, former Labour prime minister Gordon Brown urged the government to extend Article 50 by a year, in order to consult the people on Brexit “and perhaps in the end put it to the people in a referendum”. 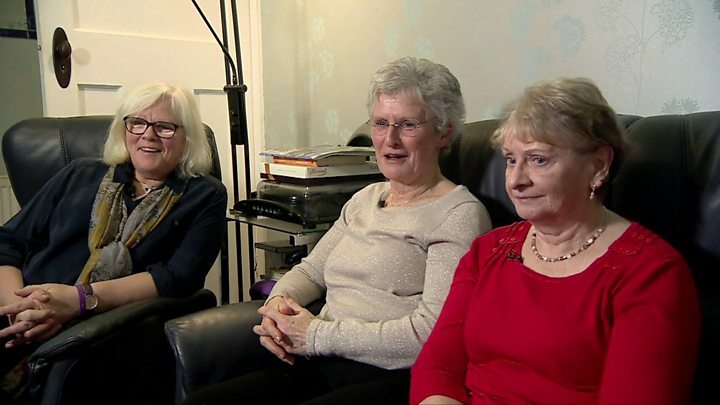 But former foreign secretary Boris Johnson said changing the date of leaving from 29 March would be “shameful”, and the public would view it as “an elite conspiracy to thwart Brexit”. Giving a speech at JCB Headquarters in Rocester, Staffordshire, he instead urged the government to use Brexit to “unite the country”. Former UKIP leader Nigel Farage has urged Leave campaigners to prepare for another referendum, telling a rally of Brexit supporters he believed “it is now quite possible that we will see an extension of Article 50”.